Happy Monday! I know I just featured the last box, last week - sorry. My last box came late so catch up game. October's box had 7 items and a discount voucher for Natural Blender, which is a handy smoothie kit that has ingredients such as fresh fruit, planted based milks and superfood to make 5 smoothies with easy to follow recipes. Delivered straight to your door - weekly. Karris TheVeganKind founder is soon to blog about her experience of her box on TheVeganKind blog! Fruit syrup consists of pure fruit, 100% from apples, grapes and carob, no additives, no preservatives and no chemical processing. Low in fructose that's lower than table sugar, honey and agave syrup it has just 13 calories per teaspoon. Perfect for pancakes, toast, porridge...possibly even the treat featured later on in this post too. Small and subtle, I think if you're into decorating denim or faux leather jackets, this could be included. I had a look at the rest of the All Glamour No Guts and they've got some really cool t-shirts, tote bags and accessories worth checking out if that's your thing! These were delicious, gummy sweets. The first two, I thought were going to take my teeth out lol, I was chewing and chewing..my jaw got one hell of a workout. I ended up just sucking them until they were a little more soft, then chewed and swallowed but The Jealous Life, you make some delicious sweets there's no denying that. Made of Swedish oats, this can be a replacement for anything you'd normally use cows milk in. Loaded with protein, carbs, fibers and healthy fat within one drink. It can be stored at room temperature, just remember to shake before use, full ingredients include: at base (water, oats 10%), rapeseed oil, calcium carbonate, calcium phosphates, salt, vitamins (D2, riboflavin and B12). Nom, delicious without a doubt. I really do love Ten Acre crisps, they are hand cooked and smothered in sweet chilli flavouring. It packs a good punch with flavouring but not too much. I'm always disappointed when they're finished especially as the bag is quite generous. The brainchild of two busy working mums, you can enjoy your 5 a day on the go with a pouch bursting with flavour. I have a think about pureed fruit, I'm not keen. Reminds me of baby food but for those who don't mind this can be eaten as a quick snack whenever hunger strikes, energy boost or post-gym healthy treat. Not bad if you're getting all you need in one shot! Lastly, home baking and in mugs has never been so simple. Get a sweet treat in over 60 seconds, includes ingredients such as Belgian dark chocolate chunks, marshmallows, cocoa and natural vanilla flavouring, it has a sweet scent, soft sponge and very sticky icky indeed. This would be ideal for a freakshake addition, perfect month for it too! -_______10p from each box sold in October will be donated to The Bodhi Shelter and Clinic. I like the sound of the oaty oat drink and it did make me laugh when you said the sweets nearly took your teeth out lol. Haha, it really did. I had to check they was still in my gums lol!! Those mug cakes look so cool - I'll definitely keep an eye out for them! And with so many different flavours, someone is bound to find one they'll enjoy. I really want to try this box, do they do one offs? I have asked them but haven't heard anything, you could probably sign up, get the first box and cancel before the next box? This looks like a great month. The sweet freedom range is brilliant! I know! It's a really good range, I love them. I've tried all of these, I think, except the Bakedin Sticky Toffee Pudding, which looks and sounds amazing!! Oh I hope you do try them - there's others in the range that'll you may love just as much or more. 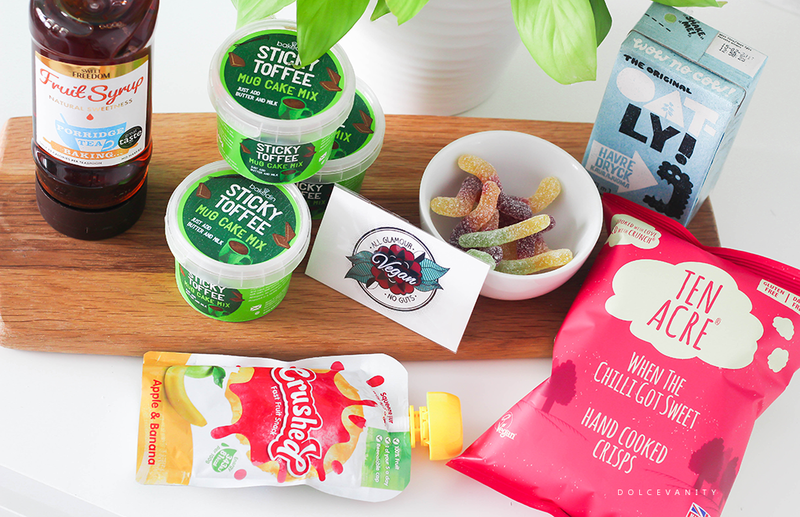 I have such a sweet tooth it's unreal, so the tangy worms are especially right up my street! Nice to know there are good choices out there for vegetarians/vegans too! Very true. The tangy worms were good, I was just too fast to chomp haha. They included some really yummy treats in this one. The toffee pudding sounds so cool. Certainly was. Ah I hope you do, got so many choices for them too. We have recently started using the Oatly milk over almond milk and I am really enjoying it. Oh really, the switch over. It seems like a different healthy choice, I need to be able to find it in stores. I love that you can get so many different products for vegans now, it's so important to diversify diet and I think you can really do that now! Yeah it's become a lot more versatile which makes it easy for a different lifestyle choice. Not bad at all. That bakes sticky toffee pudding looks delicious. I wouldn't say no to that! And they were. So many different types to purchase too. The mug cakes sound really nice. Would love to try that. Star product of the box I think - along with the worms. Aahh the mug cake looks divine and love your mug too! So cool! 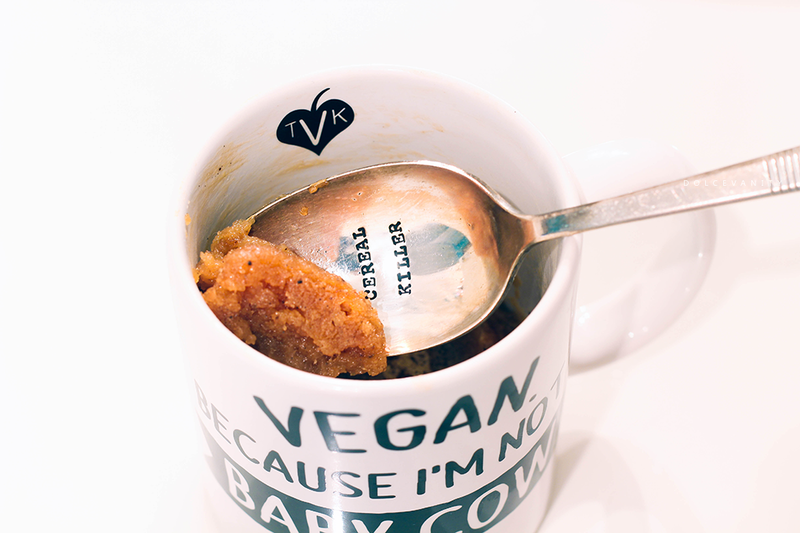 Thank you, them mug is another great product from TheVeganKind. Haha, very quick and easy. Certainly something there for everyone with the cake mix - different flavours. Yeah some of the products are great and good to eat regardless of diet so it's good you like trying new things. Looks like another great box! I really like Oatly too as a change from almond milk. Thanks. Oatly seems to be a popular brand and one I've seemed to of missed. Good job for the box. I've been hearing a lot of good things about The Vegan Kind boxes. That sticky toffee pudding in particular sounds great! They are good boxes and give people a chance to try vegan items despite the lifestyle. Never heard of this box before! The gummy sweets look delicious. The mug cakes look and sound delicious. I would love to try them! Definitely are. You should, not bad to get 3 pots in a packet. My best friend has been vegan for a year now and she's always looking for new recommendations for what to try so i'll share this with her, the fruit syrup looks yummy! Thank you!! The Sweet Freedom range I think is so popular, my mum's vegan friend LOVES it and even her husband and boys who are not vegan. I do think mug cakes are a good invention for a quickie treat. I absolutely love the sweet freedom fruit syrup... I use it in my overnight oats and if I need a sweet kick in my tea. Best thing I started using! I noticed it's a super loved brand. What a great idea, good sugar replacement. I should try that. I love the sound of the tangy worms, perfect little sweets for on the go! They look even better too! Agreed, they're good to just snack on anywhere. I love that they have ready made cake mix! That makes life so much easier. I will have to tell my vegan friend about this! It does, just pop it into the mug and microwave - simple.